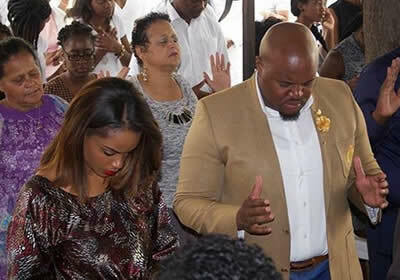 The gossip mills have been on over drive with news that Avril’s fiancé; a South African investor had broken up with Avril and was now dating the beautiful Dillish Mathews. This was after Dillish and Muga (Avril’s fiancé) were spotted having food together on Valentine’s day in Namibia while Avril was in Kakamega where she was slated for a Valentine's day performance. 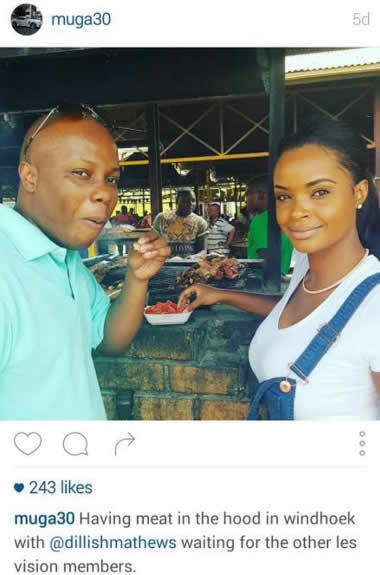 Dillish has however come out to rubbish those rumors saying that Muga is just a friend. dillishmathews @_adeh_ lol no my darling he is my friend. I got a boo remember? For those who are wondering, Dillish is still happily dating her beau of many years Stephen Gaeseb.